Channel overall piece of mind and wisdom with this September bangle from the Chrysalis 'Good Fortune' collection. 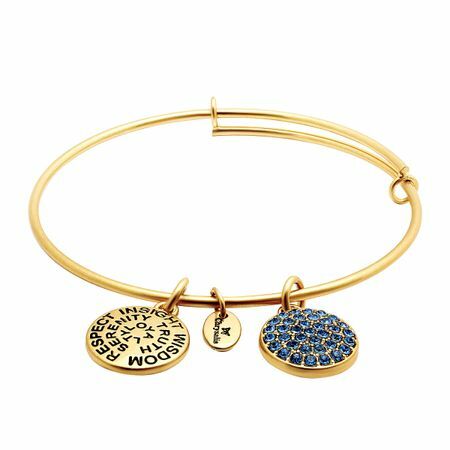 Featuring glittering royal blue colored Swarovski Crystal, this piece is set in 14K gold plating over brass and is perfect alone and easy to mix and match. Piece measures an adjustable 8 inches in circumference. Birthstones have long fascinated people - ever since they were linked to the zodiac. These days they are linked to your birth month bringing qualities to affect your destiny, bringing protection and good fortune into your life. This collection is available in both rhodium tone and 14 karat gold tone.